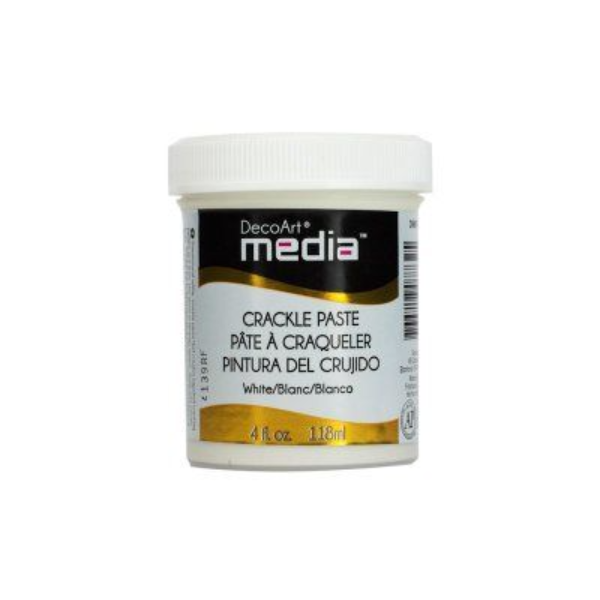 A dimensional, white crackle paste that creates an eggshell cracking pattern as it air dries. Tintable with Media Fluid Acrylics. Allows for full control of crackle results based on thickness of application and application technique. Use on cardstock, papier mache, canvas, wood and more.